Often as I walk through different seasons of life, God puts a specific verse in my way. Everywhere I turn I bump into it. My Bible opens to it, I hear it on the radio, eventually I hear it in a whisper all through the day. I’m hard-headed like that; it takes a lot of repetition to really grab my attention! The passage I keep coming back to right now? Take a minute and read it… Then let me tell you what God is teaching me through this passage. 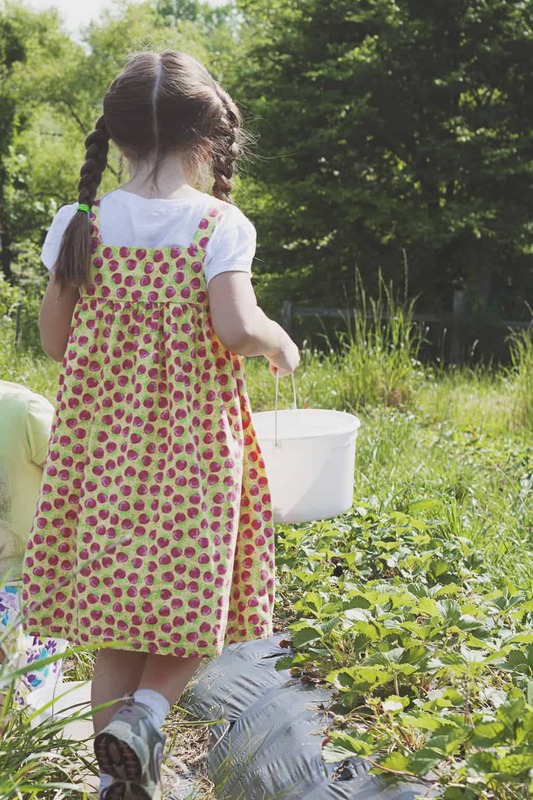 As a sewing Momma with 4 little girls, I know a lot about hems. 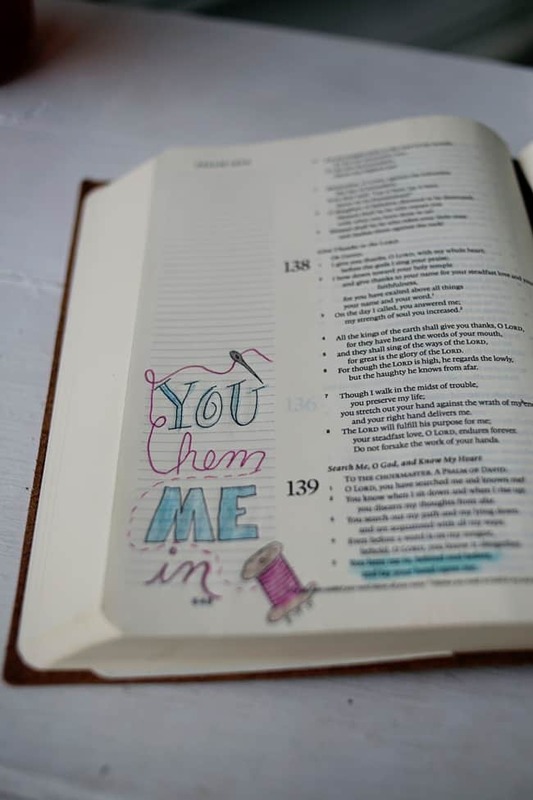 Each time I read this passage- or hear the whisper of the verse as I go about my day- I immediately picture the hem of my little girls’ much loved dress, the one I made for my oldest daughter, now passed down all the way to the youngest; worn over and over by each girl. The fabric is now worn and faded, but that hem? It’s stitches are still straight and true- standing the test of hours of little girl play and hundreds of trips through the washing machine. I picture God turning up the fabric of my life, just as I turned up the hem of that dress. How even as I made the stitches, my love was pouring out for the little girl who would put the dress on. If my hem was made with that much love, how much more love does my Father pour out as He gently, purposefully turns up the edges of my life and hems me in? The fabric of my life, it’s pretty raw and jagged these days. Maybe yours is too. The amazing thing about a hem? It doesn’t matter how jagged the edge. The hem just rolls it up, making the once jagged and raw edge, smooth and straight. That raw edge is still there, but it’s protected from further fraying. Friends, you might feel like an uneven, jagged piece of fabric but your Father is right there hemming you in. Lovingly tucking up the uneven and raw pieces of your life into a smooth and straight hem. He is behind you, in front of you, beside you, everywhere you turn. He is right there. His hand is laid upon you. Even in the raw jagged places of life God has you hemmed in! I am resting in that promise- reminding myself of it when the edges seem too raw to bear. I pray you will do the same! 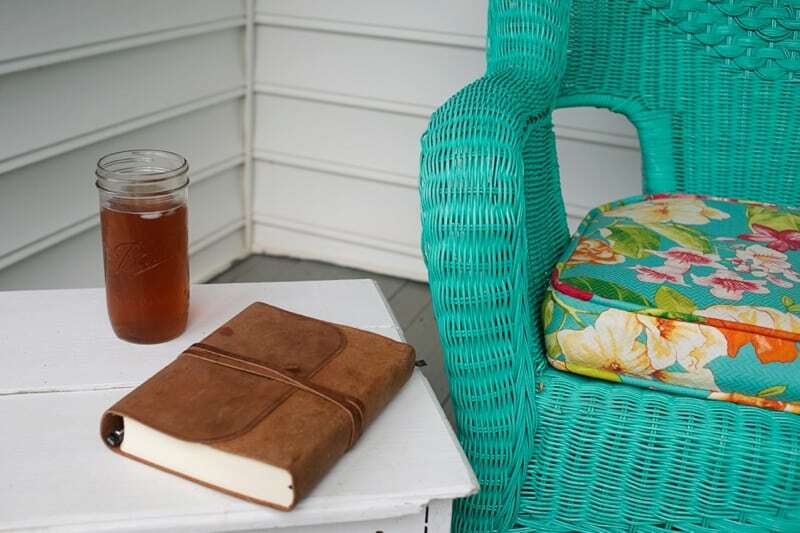 Many thanks to Family Christian for providing a Journaling Bible for this post! 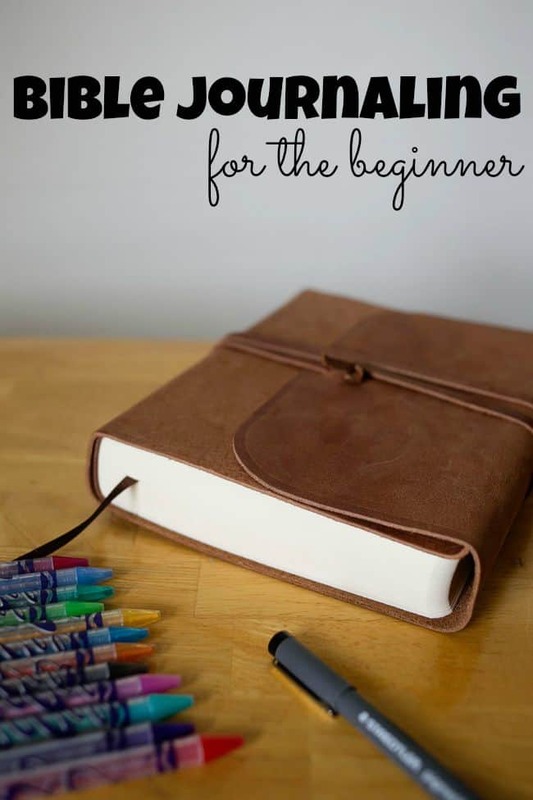 Follow Amanda’s board Bible Journaling and Bible Study on Pinterest. Right now my favorite verse is Genesis 31:49 "And Mizpah; for he said, The Lord watch between me and thee, when we are absent one from another." My husband is in he military and is gone a lot, so this is the verse I cleave to during our time apart. Sarah, I'm saying a prayer for you and your husband right now! I thank you so much for sacrificing him for the freedom of our country AND him for being willing to serve! It's such a sacrifice! Hey Amanda! I enjoyed reading this post... It came at a great time for me and helped me to stop and think about how He does perfectly arrange things we were never in control of anyways. I am praying for you and those sweet kiddos! How much I am learning how little I am in control! Pretty hard for this planner! But, God is good, even in this storm... He is so GOOD! I have wanted a journaling Bible for quite some time. This one is simply beautiful. Awww, thanks! Artist, I am not! But, when it comes to drawing in my Bible, its the memory of lessons learned that is important, not the beauty of the art! 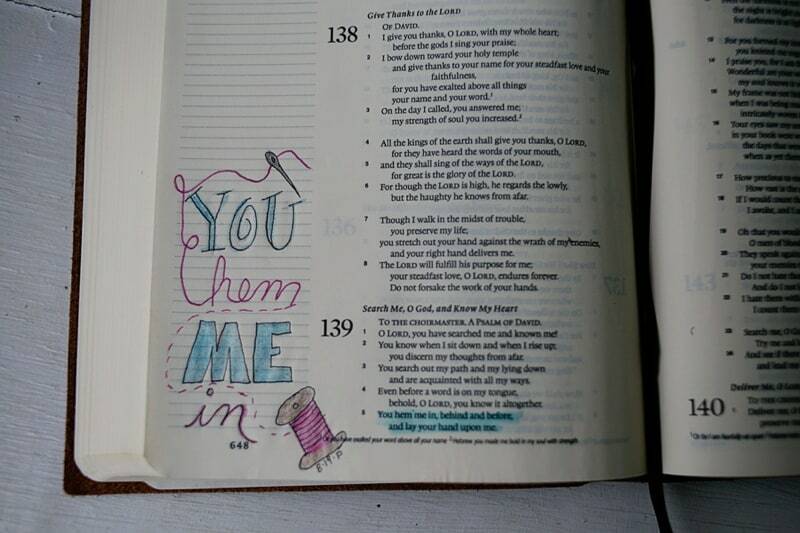 I have never been to good at journaling, but this Bible is so pretty that it does lend itself to making some notes!! I love your doodles! Thank you! I'm not artistic at all- but the way the art or writing a note in the margins helps me remember the lessons I've learned is amazing! I have never looked at this verse that way. Thank you for bringing it to life with your post & your art journaling. Also, thank you for the chance to win the beautiful journaling Bible. Romans 5:8 is a favorite of mine. Such wise words! I often feel frayed around the edges and NOT hemmed in. My life has been anything but quiet and calm... LOL It's good to know that even when I don't feel it, the Lord has me "hemmed in" :) I feel blessed to have found you over on Pinterest! Very pretty! And encouraging post to start! Thanks for the chance to win! I've been collecting supplies (pens, markers, colored pencils) to start Bible journaling, but I haven't picked out a Bible yet! Ps 37:4-5 is a favorite verse of mine. And we know that God causes all things to work together for good to those who love God,to those who are called according to His purpose. Romans 8:28 Mesmer's means to me that God will use all the trials that I have had in my life for his purpose and for good. I was recently diagnosed with colon cancer at the age of 32. As they go through this journey I know that God will use this for his glory. great article! Exactly what I've been looking for! Thank you! I would love to win this! I always love the 23rd Psalm. Thanks for the chance to win. I'm so excited for you Karla! Can't wait to see your journaling! Hi. I came across this site via a "pin" from Pinterest. I do like your thought process for journaling in your bible. Can you share with me what bible you are using? 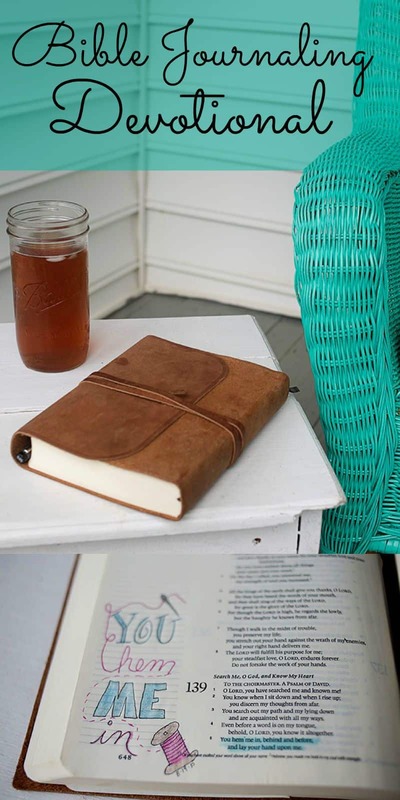 I love the look of the leather trifold bible. Amanda, Such a sweet look into your walk with the Lord. We have 6 kiddos, too, and 3 of them are heading into adolescence, so we all have some ragged edges around here, lately. Thank you for the reminder that He has it all under control, and to just keep giving it to Him. Thank you for your sweet words, I totally understand the ragged edges!! Hi Amanda, I just wanted to thank you so much for sharing your devotional with us :-) I love hearing how God is working in the hearts of others and this really resonated with me! You paint a beautiful image with words :-) Happy New Year! I'm so glad it touched you! God is good!